If H.H. 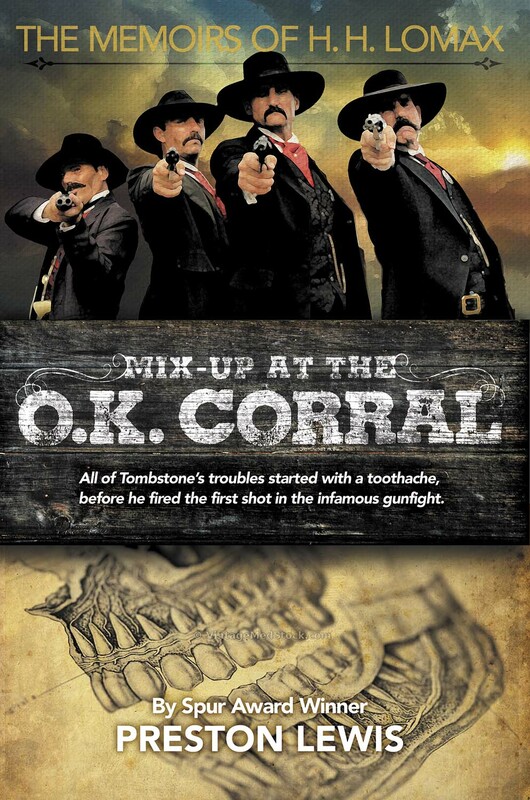 Lomax is to be believed, his toothache started the chain of events leading to the most infamous gunfight in all of the Old West. On top of that, he claims to have fired the first shot in the Mix-Up at the O.K. Corral. Whether rustling cats or tending bar, Lomax had a talent for making more enemies than friends. By the time of the shootout everyone—from the Earps to the Clantons and from Johnny Ringo to his own lawyer—is out to get him, and even Tombstone residents who don’t have a grudge with Lomax are placing bets on where he’ll get shot when all the scores are finally settled. What Lomax lacks in luck, he offsets with pluck and even if he shades the truth here and there, he does so with a wry perspective that offers an insightful and humorous take on the people and events behind the gunfight at the O.K. Corral. When all the shooting finally stops, Lomax has only his malicious cat Satan for a friend, but at least he is able to ride out of Tombstone alive, unlike so many of the other players in the O.K. Corral saga. You can take Lomax’s word on it! Or can you?